AMERICAN FREEDOM by BARBARA: Why Are Arizona Republicans Pouring More Money into For-Profit, Private Prisons? Why Are Arizona Republicans Pouring More Money into For-Profit, Private Prisons? 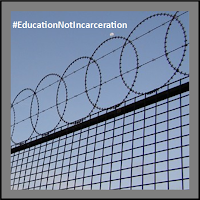 Phoenix Arizona-Arizona Republican leaders continue to pour money into the for-profit, private prison industry, although Arizonans have stated clearly they want more #SchoolsNotPrisons. Earlier this month, the state increased its reliance on private prisons and began moving inmates into a newly expanded facility in Eloy. This move, which could cost the taxpayers up to about $24 million annually, will fund 1,000 new beds in the private prison—beds the state is promising to keep at least 90 percent full. Republican leaders are handing over a total of about $168 million this year to for-profit, private prisons operators, although it is difficult to determine whether these facilities are saving the state money. Republican legislators outlawed cost comparisons in 2012, but prior to that, reports indicated that private prisons weren’t actually saving money. In 2010, the Department of Corrections showed that daily per capita cost of prisoners in private prisons was almost 10 percent higher than those in state prisons. Arizona has one of the highest incarceration rates in the country, according to a U.S. Department of Justice report. Republicans here are spending more on the Department of Corrections than on universities. House Democrats have been and will continue pushing for more oversight, transparency and accountability within the corrections system. One of our proposals is to have the Arizona Criminal Justice Commission study the current system and make reform recommendations. Additionally, the Joint Select Committee on Corrections should be immediately reinstated so that it can provide Legislative oversight of the DOC and of private prisons. None of this would cost the state a dime. Prison reform should be a bipartisan issue. We should be investing in our schools, so that our students have the resources they need to prepare for high-quality jobs. 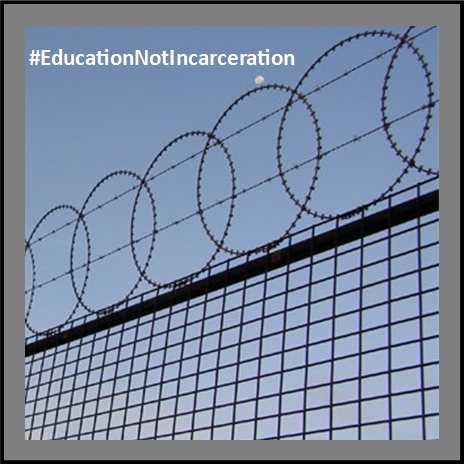 And so that qualified teachers stop “fleeing Arizona in droves.” Democrats agree that the priority is #EducationNotIncarceration. Click here to find ways to Be Heard and get involved.